ACFN is the largest ATM provider to hotels in the US and the only ATM Franchise in North America. 260+ Franchises strong, ACFN focuses mainly on travel & entertainment based. businesses that provide a captive audience of large volumes of foot traffic that need cash on demand. We work with businesses that cater to clientele who are least likely to have the time or inclination to search for a bank when in need of cash and who are glad to pay a convenience fee for on-site ATM services hence, bringing the bank to them. 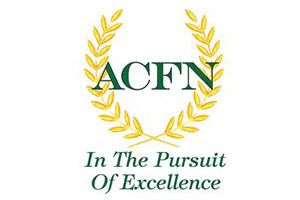 ACFN is successful in providing services to this niche in the marketplace with our unique “turn key & hassle free” marketing philosophy. We have been providing ATM services since 1996, began offering ATM franchise opportunities in 2003, and we now have more than 250 franchises in the United States and Canada. More than 2,500 ATMs have already been placed in many high profile hotels including the Ritz Carlton, Four Seasons, Fairmont, Marriott, Hilton, Sheraton, Doubletree, Embassy Suites, Renaissance, Wyndham, Best Western, Radisson and many more. ACFN also provides services to hospitals, theatres, sports bars, night clubs, billiard halls, breweries, sports arenas and city properties such as convention centers. © 2017 Get me Franchise All Rights Reserved.